The Paragon Productions Photo Station is more than a photo booth, it’s a private social network for your event. 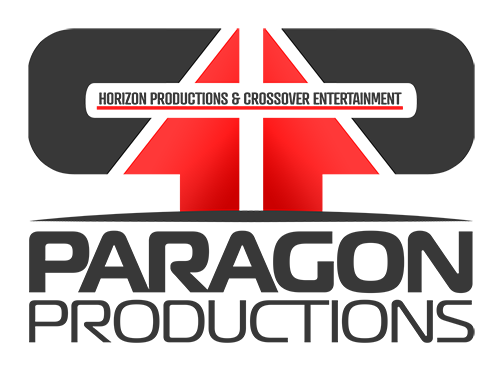 With the free twineLIVE mobile app, guest’s mobile devices become a second screen for the event that lets everyone see, share, upload your event photos, and comment on the photos as they happen. Our photo booth is a mobile photo booth with two big twists. The first is its portability. Unlike normal photo booths that require heavy lifting and set up, ours twists up into a full-sized photo booth in less than four minutes. The second unique feature of our photobooth is its connected social network. Whether at weddings, sporting events, concerts or fundraisers, photos are delivered to event guests via the interactive mobile app, twineLIVE, in real time. 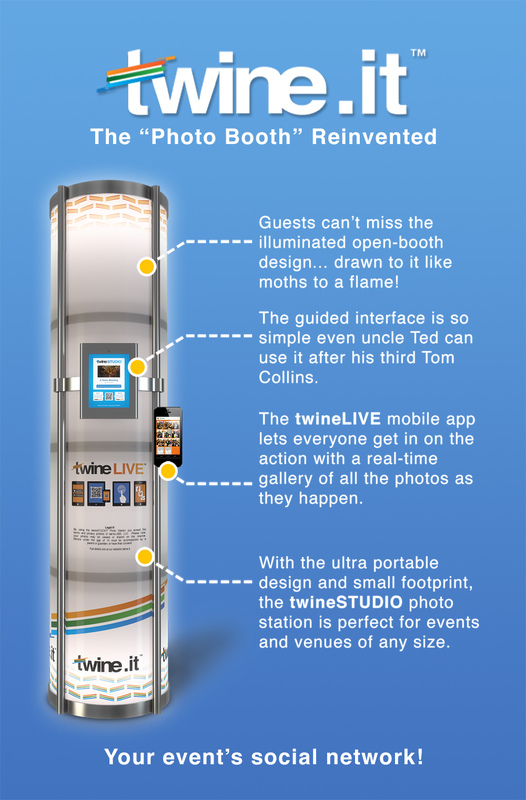 Within twineLIVE, guests connect to the event itself rather than permanently to each other where they can view, like and share candid event photos to their personal social networks. Why should you have a photobooth at your event? 1) Lasting Memories: There are so many ways to capture a wedding, but none so engaging and fun as a photo booth! While the DJ or band keep things going on the dance floor, the photo booth creates a space to just let loose and capture the lighter side of the event. Whether you’re doing a Charlie’s Angels pose, donning a pink feather boa or making a funny face, the twine.it photo booth will provide your wedding with hours of fun. 2) Fun For All Ages: There is no age limit, young or old, for having fun in a photo booth. We have had everything from a babe-in-arms to great-grandparents bringing their smiles to the booth. And it’s always something they will remember with the real-time digital photo album. 3) Focal Point: Q: Where else can you socialize with all the guests and have fun at the same time? A: The photo booth of course!!! It’s like the water cooler of the wedding. Not confined like a table and not too loud like the dance floor. It’s perfect to catchup with old friends and family and make some new acquaintances at the same time. 4) Personalize The Experience! Brand all of the photos with an overlay that has the same theme of your wedding! A perfect compliment to your special day. 5) Easy And Interactive! The twine.it photo booth has simple, intuitive software that allows you to view, share and interact with all of the your amazing photos in real time… even if you’re in Guam! Our cloud-based interface let’s you enjoy the fun no matter where you are. 6) Extend The Fun! Add a slide show or separate share stations to take your event off of the camera and into another area of the event. Since “the cloud” has the photos, you can set these up wherever you want. Even head back to Guam. Bonus: Candid Photos! Yep, you heard that right! You and all of your guests can even take photos with your phone and load them into a shared gallery for everyone to see. “The cloud” strikes again!